MOORESVILLE, N.C. (April 13, 1999) Veteran Joe Ruttman won the inaugural NASCAR Craftsman Truck Series race at Martinsville in 1995. Ortho Lawn & Garden Products, which was a charter sponsor in the NASCAR Craftsman Truck Series until leaving at the end of the 1998 season, will return at Martinsville Speedway this weekend when the company sponsors the Black Diamond Racing Ford driven by veteran Joe Ruttman in Saturday's NAPA 250. 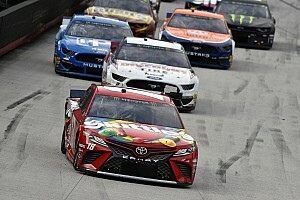 Team co-owner and crew chief Richard Wauters said Tuesday morning the program with Ortho was "a one-race deal for Martinsville, but they are looking at coming back into the series. 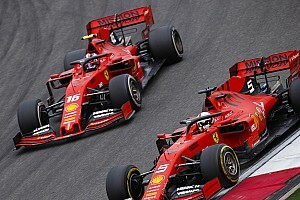 This year, they may do as many as five or six races and we're hoping they'll decide to do more with us." Ruttman, 54, won the inaugural NASCAR Craftsman Truck Series race at Martinsville in 1995, driving a Ford for Irvan-Simo Racing. It is one of eight series wins on his resume. If a sponsor decided to sign with Black Diamond tomorrow, Wauters says the team, which he owns with two other businessmen, is geared up to run a full season. "Yes we are," Wauters said emphatically. "We've built a brand-new 10,000-square-foot facility here and we have Richard Carter, one of the co-owners who was formerly a vice president with Diamond Ridge Motorsports, working on some sponsorship programs." Wauters said the team has two Laughlin-chassised Ford F-150s ready to race and they have taken delivery of a third, new truck. Their engine program is in place with Kinetic Racing Engines. The No. 15 truck will be painted in Ortho yellow and carry associate sponsorship from Manheim Auto Auctions, the company based in Florida that has long been involved in the upper levels of NASCAR, including a current associate sponsorship with Larry Hedrick's Kodiak Chevrolet team. Right now Wauters and Ruttman have formed a mutual admiration society. They have good reason. In four races last season, Black Diamond did not start lower than eighth in any of them with Rich Bickle and Scott Hansen driving, including a 5th-place finish at Martinsville and 6th at Richmond International Raceway. 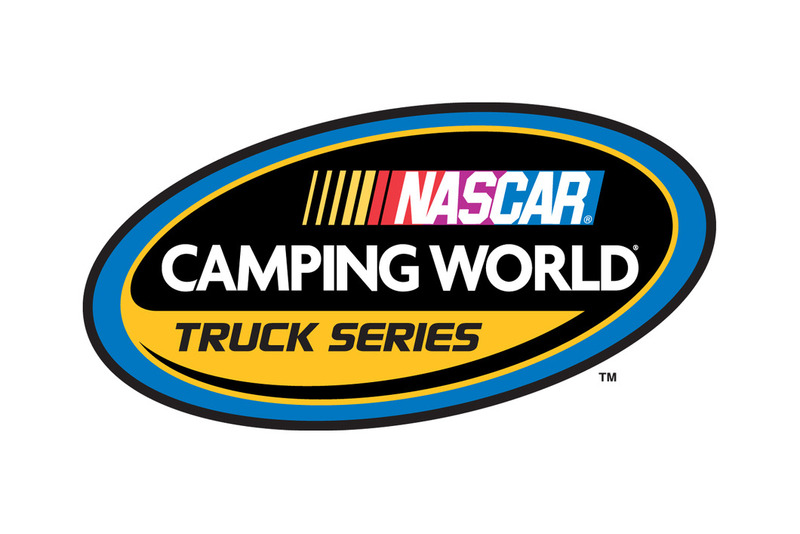 "We're trying to make a splash here and we're really excited to have Joe Ruttman in our truck," Wauters said, anticipating an open test with the Upland, Calif., native on Wednesday at the .526-mile flat oval. "He's a great driver and should be able to give us some great feedback. "We had a top-5 team every week and ran ourselves out of gas at Milwaukee when we were also pretty strong. I honestly believe we can win at Martinsville, after the way we ran there last year with Rich Bickle." 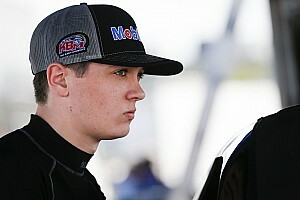 For his part, the performance of the Black Diamond truck has got Ruttman intensely anticipating this weekend. The driver who competed in the first 99 races before missing No. 100 -- and a chance for a $100,000 bonus from Craftsman at the NAPAcard 200 at Evergreen Speedway two weeks ago, is ready to go. "After setting out all this time I'm getting cabin fever," said Ruttman, who has kept sharp testing stock cars, including David Green's NASCAR Busch Series Grand National Division ride recently at Talladega Superspeedway for team owner James Finch. "What excites me is an opportunity to run with an operation that can field a competitive truck. That's what I'm looking for and we've been discussing this for a month and a half. 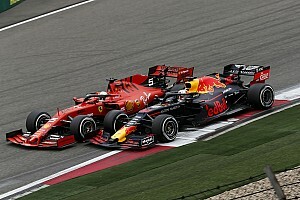 "We looked it over quite a bit, and we think this is the ideal place to make a comeback. 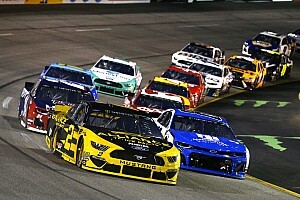 We're hoping that after this three-week short track run (Evergreen and Mesa Marin leading up to Martinsville) some of the strong teams might've torn up some of their good stuff, they'll be tired and we'll kick their fannies." Ruttman, as he has all along, said he is looking forward to the test and the weekend. "The stopwatch will be our friend or our enemy," he said, "but I think we've made a good decision and we hope to show Ortho that this NASCAR Craftsman Truck Series is good for 'em, they're missing a tremendous opportunity by not being here and that they may re-think their departure."